Health technology has evolved to include state-of-the-art gadgets that help make every facet of fitness and nutrition fun and rewarding. While some sports gadgets are worn on the wrist or hook onto glasses, here are 2 trend-setting gadgets that attach in unique places to help monitor sports performance. 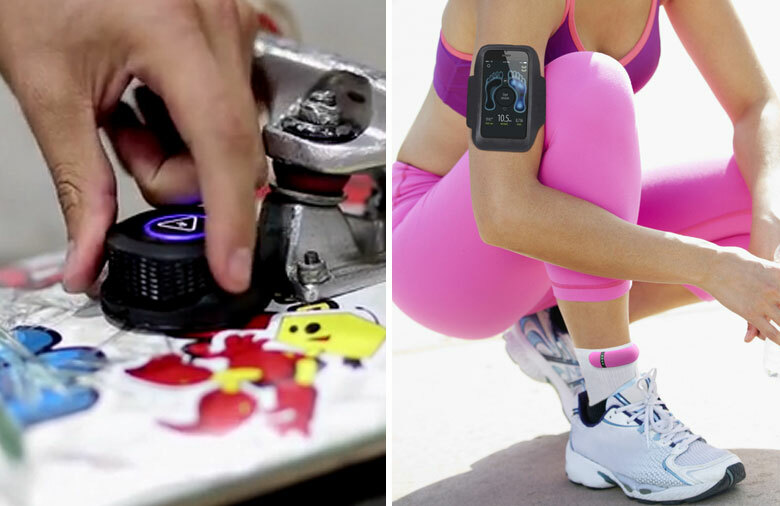 Trace – While most sports trackers measure heart rate or other biometrics, this gadget measures how daring an extreme sports enthusiast can be. Trace mounts to surfboards, skateboards, snowboards and skis, and can accurately identify speed, distance, height and rotation of each courageous feat. Results can be shared with others performing the same sport all around the world. Sensoria Smart Sock – Designed especially for runners, this gadget measures how well a person runs – pace, stride, distance, calories burned – and then instructs them how to improve their performance. While it’s wearable, what makes it unique is that they’re a pair of socks. The sensors are near the ankle where they measure pressure from each step. Amazingly, the socks are as washable and comfortable as regular socks. If you learned more about how technology and gadgets can help increase your wellness, please consider sharing this article with others.